This is a really pretty amythest necklace. 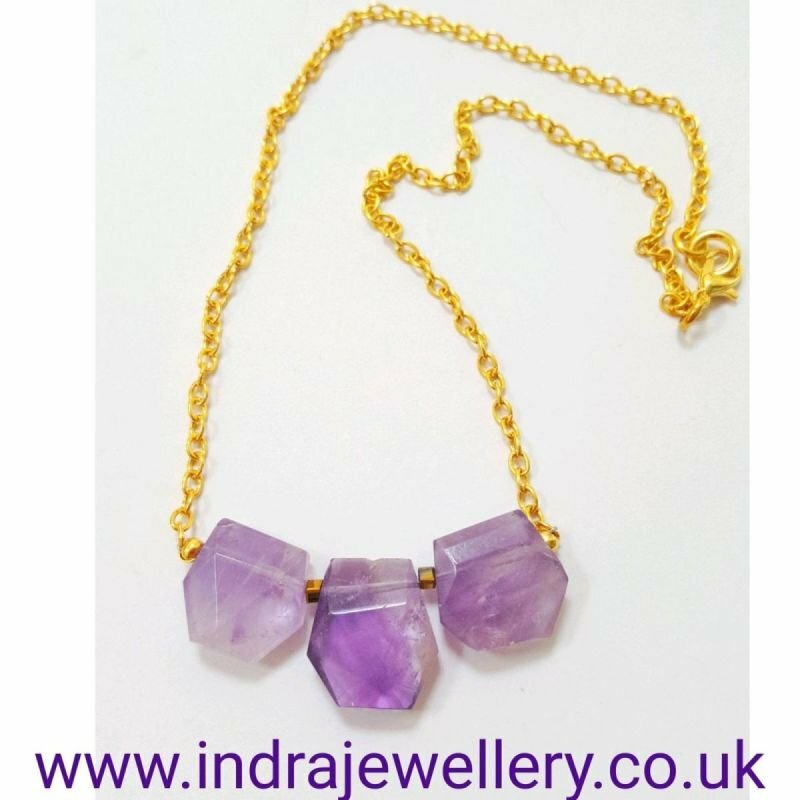 The focal amythest beads are a set of 3 raw crystals which have been faceted to catch the light beautifully, I have complimented them with a dainty gold plated chain measuring 16". The photos don't do this necklace justice, it will go with any outfit, whether it is daytime or evening.